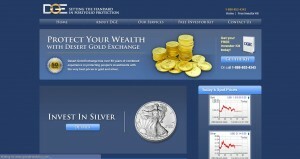 Desert Gold Exchange address, phone, website, hours of operation, and more. 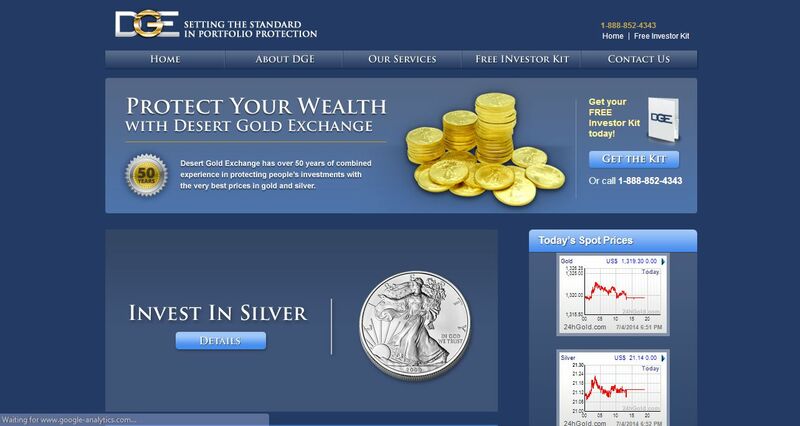 Desert Gold Exchange is a national premiere gold and precious metals investment company, specializing in asset protection through precious metals. DGE is a industry leader in converting IRA’s and other retirement vehicles into precious metal. We deal strictly with the physical acquiring of gold and silver unlike others that just want to sell you a piece of paper. Our mission is to help educate you regarding the various types of precious metals so that you can make all the right financial moves, while paying little or no taxes. Building wealth can be challenging, but our knowledgeable staff is committed to serving as your primary resource for financial education, enabling you to make informed investment decisions.